Features: A cool drink is the perfect solution for a hot day. Good thing coolers were invented to keep things cool. 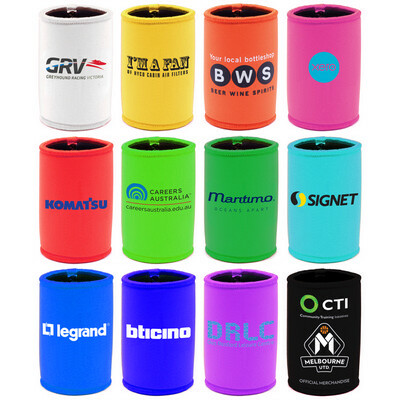 This premium Neoprene Stubby Cooler comes with over lock top and bottom, tape and stitched seam. Price includes : 1 COLOUR 1 POSITION PRINT. Setup is included.